Plants lift the spirits like nothing else; they bring life to a room and make it look more welcoming. They’re also an easy and affordable way to update your home. As we (eventually) move from the dark winter days to the first signs of spring, it’s a good time to think about bringing the outside in. Here are some ways to add a feeling of spring to your home. At this time of the year I like the chic simplicity of plants with white flowers – I love to have lots of pots around the house filled with paperwhite narcissi, white hyacinths, and hellebores – they smell lovely and you can group them together to make more impact. 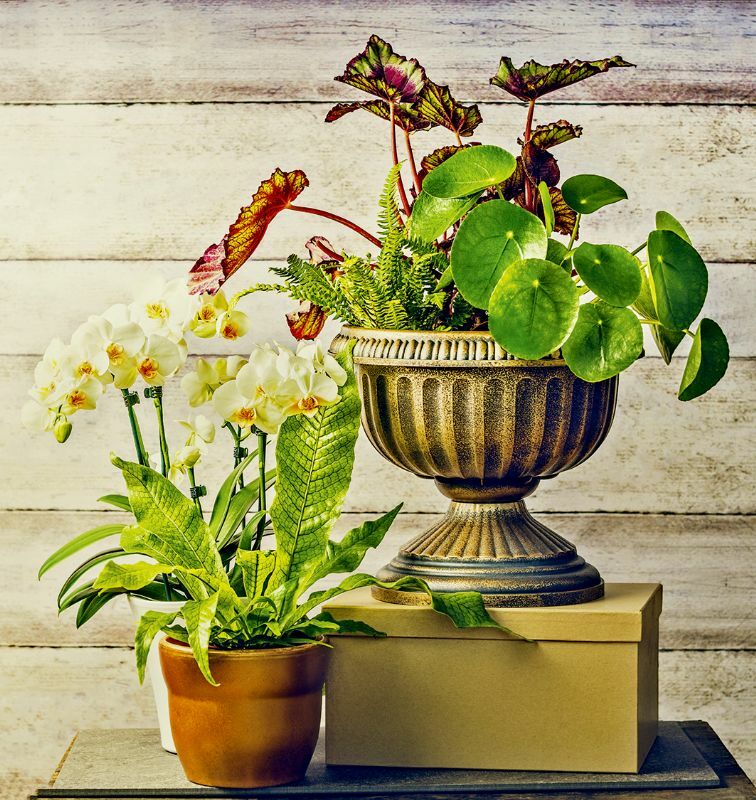 Create a pared back Nordic feel with houseplants – the current trend is for plants with sculptural shapes as a focus point. Popular varieties include the exotically named dragon and snake trees. If your style is more mid-century, seventies favourites like the rubber plants and ferns are also back in vogue. Do make sure you take advice on the care of your plants and check they are safe for your pets. If you don’t have a lot of time then go for something low maintenance. Small succulents and cactuses are having a bit of a moment, they don’t cost a lot and are in all the interiors shops. They come in a wide variety of shapes and colours and need minimal watering – perfect for millennials living in small apartments. My daughter can’t get anything to grow in her London flat so I bought her a gold tipped aloe vera in a lovely coloured pot and she’s now started a collection. Plant containers don’t have to be boring – partnered with the right plant they can make a real style statement. 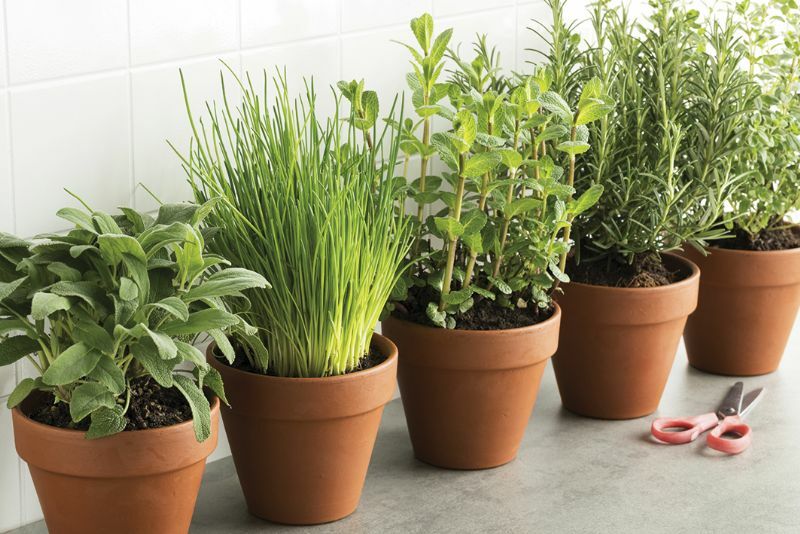 A group of aged terracotta pots filled with herbs will add a nice rustic note to your contemporary kitchen. Mix textures and go for unusual shapes. I particularly like some cream woven cotton pots I brought back from holiday that I filled with white cyclamens. Terrariums filled with succulents also look very stylish, and macramé plant hangers are back in style. Finally, take a tip from the Japanese and add a bit of drama to your room with an indoor tree – really striking with all-white interiors. I first saw this look used in a friend’s turn of the century apartment in Paris. The room was all white minimalist, softened with two beautiful fig trees in pots at each side of a large window – it looked amazing. Now you have freshened up your home, you can look forward to those first signs of spring. Copyright © 2019 The Local Answer Limited. Unauthorized use and/or duplication of this material without express and written permission from this site's author and/or owner is strictly prohibited. Excerpts and links may be used, provided that full and clear credit is given to The Local Answer Limited and thelocalanswer.co.uk with appropriate and specific direction to the original content.